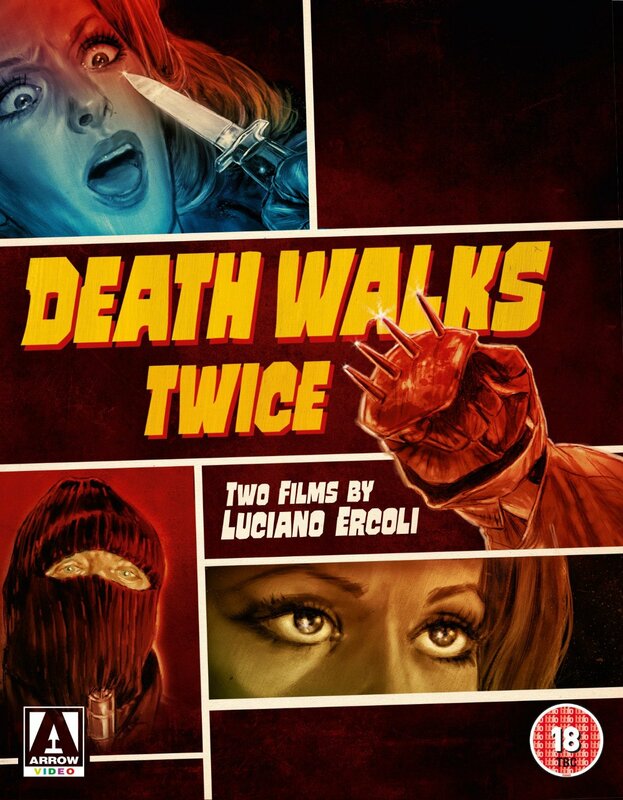 Arrow Video are thrilled to announce the release of Luciano Ercoli's Italian horror classics Death Walks on High Heels and Death Walks at Midnight which premiere on Blu-ray in this beautifully restored, limited edition collection. 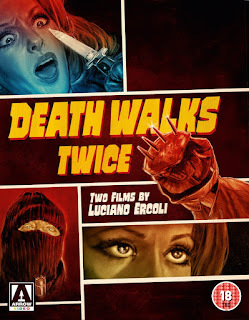 Emerging at the peak of the giallo boom of the early '70s, Luciano Ercoli's Death Walks films are two superlative examples of the genre linked by their shared casting of the stunning Nieves Navarro (billed under her adopted stage name of Susan Scott) as the lead woman in peril. In Death Walks on High Heels (1971), exotic dancer Nicole (Navarro), the daughter of a murdered jewel thief, finds herself terrorised by a black-clad assailant determined on procuring her father's stolen gems. Fleeing Paris and her knife-wielding pursuer, Nicole arrives in London only to discover that death stalks her at every corner. 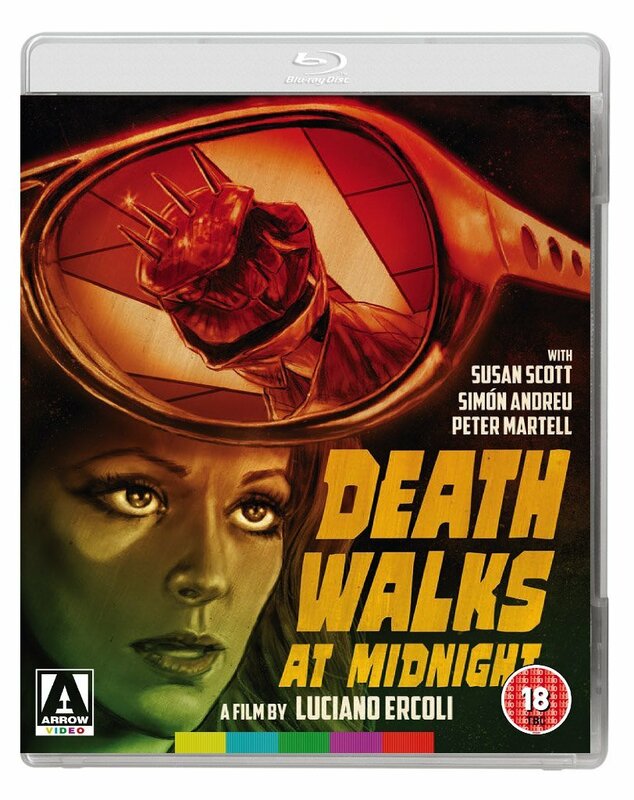 Returning in Death Walks at Midnight (1972), Navarro stars as Valentina - a model who, in the midst of a drug-fuelled photoshoot, witnesses a brutal murder in the apartment opposite hers. But when it becomes clear that the savage slaying she describes relates to a crime that took place six months earlier, the police are at a loss - forcing Valentina to solve the mystery alone. Offering up all the glamour, perversity and narrative twists and turns that are typical of the giallo genre at its best, Luciano Ercoli's Death Walks on High Heels and Death Walks at Midnight anticipate the super-stylized trappings of Brian De Palma's early psycho thrillers (most notably, Dressed to Kill).